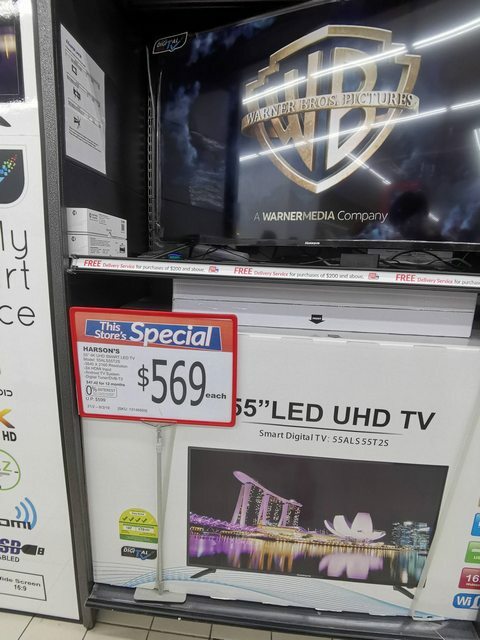 Just hooted the AOC 50" at Jurong NTUC Xtra. $599 inclusive of delivery and wall mounting installation. Left 1 more new unit only. Additionally there's also the display unit there. If you want it I'd recommend calling and reserving. The AOC 55" was discontinued, not sure if they are having a new model. Mustafa also don't carry anymore AOC for some reason. 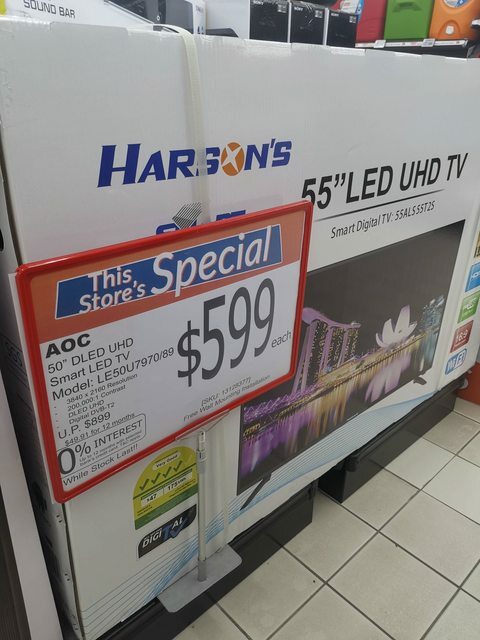 AOC 50" is sold in selected NTUC Extra at $599 + free delivery and installation of wall mount. I've tested the AOC versus Harson's. I notice that the remote for the Harson's has some sensitivity issues, must aim at the right side of the TV. There's also not much control to adjust the color, saturation and brightness. Maybe must go to a Live channel before the menu is available but I don't see it in the home button, nor in the settings while playing 4k videos, etc. The android system for the Harson's is damn lag and slow. Wall mount + installation is $80. AOC is much smoother in the system, the interface is much better with more controls. The remote has a "Netflix" button to go into it directly. 3 years on site full warranty. Overall, it's a much better made TV. Hi guys, any idea for the LE50U7970, which ports are HDMI 2.0 and which are 1.4? As I understand two are 2.0 and two are 1.4. At Fairprice extra Jurong point. Many sets left lol. Last edited by Audiology93; 02-03-2019 at 08:08 PM..
Hi anyone knows where can I get the wall mount for this model? I previously got the 55" from Giant. prolly a year back. Now I would like to get it wall mounted. "what goes around, comes back around." What place is still selling aoc?